We ship to mainland UK and the Isle of Wight (although surcharges may be incurred in some more remote areas). Our orders are generally sent out using a national courier but for local deliveries, we may use our own couriers. Orders can also be collected from the nursery by prior appointment and we are more than happy for you to do this if you prefer. Our standard delivery charge is £15 plus VAT. This is for a next day delivery service in areas where this is available (i.e. mainland UK). For areas outside mainland UK, such as northern Ireland, Isle of Man, Channel Islands, Scottish islands and mainland Europe, we can often offer delivery but will need to discuss the costs of these with you, so please call us to discuss on 01404 811229. There's usually no need to wait in for a standard delivery, our couriers will leave it in a safe place for you. If there is somewhere in particular you would like it left, please let us know at the time of ordering. For taller plants or a larger volume (particularly root ball trees), a pallet may be required. We will let you know at the time of your order as this will usually incur an additional fee. With pallet deliveries, it is preferred that someone be in to accept delivery as they are often harder to manoever and the driver will need someone to show him where the pallet can be safely unlaoded. We inspect our plants carefully before despatch but accept that very occasionally things may go wrong. The Goods may be returned if they are not what was ordered but we ask that you contact us first to discuss and make arrangements (sometimes, due to the live nature of the product, it is not worth the cost of returning the goods). Please contact us if you are unhappy with your products in any way. 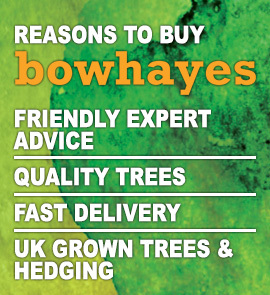 Ordering with Bowhayes Trees is easy. You can order online through the website, or if you prefer to talk to someone personally, we are happy to discuss your requirements and take your order over the phone on 01404 812229. 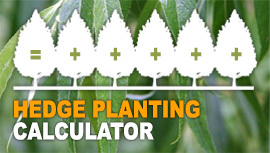 - Find the trees or hedging in which you are interested. You can do this by browsing our ranges using the navigation at the top of the page or you can use the search box, found at the top of every page. When browsing trees, you can refine your search results using the filters on the left hand side of the pages. - Choose the size of tree you are looking to buy, the price will change according to the size you select. - Enter the number of trees you require. 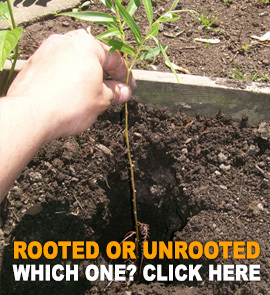 Our trees are generally available in increments of 10 or 25 depending on the type of tree. If you want an alternative quantity, please contact us directly on 01404 812229. - Click on Add to Cart. - Continue shopping or head to Checkout to complete your order. - If you haven’t shopped with us before, you can either checkout as a Guest or register online. Registering online will make it easier to track your order and will store certain details to make ordering easier the next time. - Once your order is complete, you will receive an email confirmation from us to confirm your order. - Your order will be dispatched within 3-5 working days. If you have any questions or concerns with your order, please get in touch by email on orders@bowhayestrees.co.uk or by phone on 01404 812229. Prices on the website are displayed excluding VAT which is added at checkout. We will charge your payment card upon receipt of your order. We accept no liability if delivery of the Goods is delayed by the supply of incorrect payment details. Occassionaly we will run promotions and offers. Please refer to the terms and conditions of each promotion for further details. Once you have placed an order online with us you can access the details of your order by logging in to your account (unless you checked out as a Guest). Simply click on My Account, at the top of the page to log in and view your order details. If you wish to make any changes to your order prior to dispatch, please notify us immediately, either by email on orders@bowhayestrees.co.uk or by phone on 01404 812229. If you want to update any details of your account, such as address information, log in to your account. Click on My Account at the top of the page.